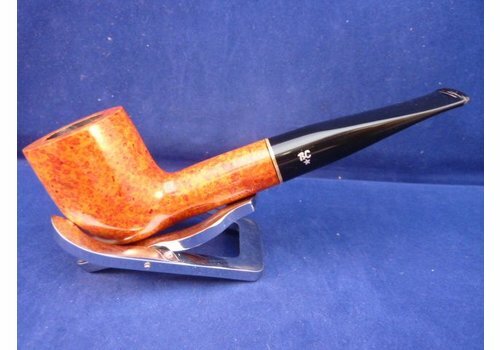 Italian pipe, beautiful rusticated with a lovely knight application made by Savinelli. Acrylic black mouthpiece. This pipe is made of high quality briar. 9 mm. filters or you can use the famous Balsa system. Smooth briar pipe with a coloured rings made by Butz-Choquin in France, black acrylic mouthpiece. 9 mm. filters. Italian dark-brown smooth briar pipe made by Savinelli. Acrylic mouthpiece with a chrome and white ring. Briar pipe in smooth brown made in the Netherlands by Gubbels for Big Ben. Black acrylic P/Lip mouthpiece, 9 mm. filter. Perfect set for the starting pipesmoker in a beautiful tin. Beautiful Irish, smooth brown briar pipe in a shiny finish completed with sterling silver mount. Vulcanite mouthpiece, 9 mm. filter. Smooth brown briar pipe with a chrome ring made in France by Chacom. Black acrylic mouthpiece. Made with 9 mm. filters or without with the free adaptor. Smooth briar pipe made by Butz-Choquin in France, very beautiful colours, black acrylic mouthpiece with a gold coloured ring. 9 mm. filters. 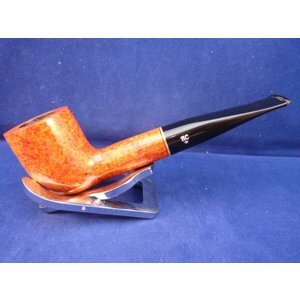 Sandblasted briar pipe in the famous Stanwell shape with a ring made for Stanwell. Acrylic mouthpiece, 9 mm. filter. Beautiful small briar pipe with a silver coloured band made in France by Chacom. Black acrylic mouthpiece. Without filter.